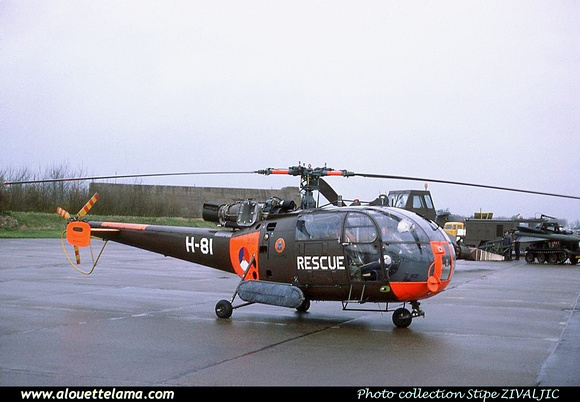 KLu, SAR Flight; named "Fred"
KLu, SAR Flight; noted at Biggin Hill, U.K.
H-81 Eurocopter (Aérospatiale) SE3160 Alouette III MSN 1381, Koninklijke Luchtmacht, SAR - Photo Stipe Zivaljic collection. Dernière mise à jour/Last update : 03-07-2014. L'usage des logiciels Firefox ou Safari est recommandé. The use of Firefox or Safari browsers is recommended.